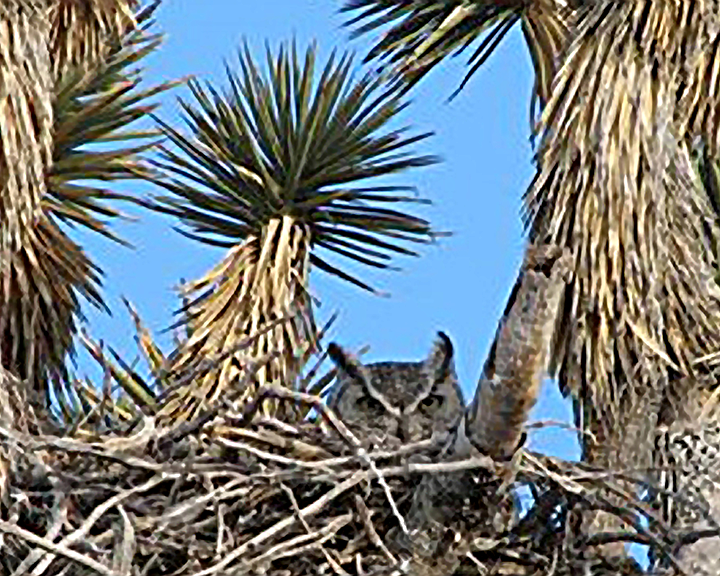 The Arizona Joshua Tree Forest offers a wide variety of recreational opportunities. For those who desire the undeniable health benefits and maximum intimacy with the sights, sounds and fragrances of nature that hiking provides, the Arizona Joshua Tree Forest is a great choice. Numerous points along the western and southern boundaries of the Area Of Critical Environmental Concern (ACEC) provide access to a considerable system of ATV and jeep roads on which a great variety of walks can be taken over rolling hills, through washes and along ridge tops. Views are panoramic and landmarks are unmistakable; there is always a comforting sense of one’s specific location. 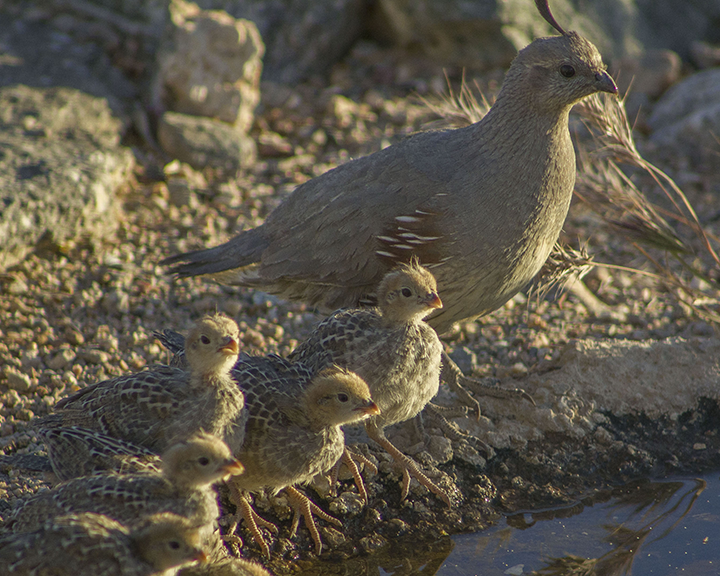 Hiking, an inherently quiet endeavor, offers the greatest opportunity for bird and wildlife observation. Staying on these dedicated roads makes rattlesnakes easy to see and avoid. And it is easy in just a few day hikes to see most of the ACEC. Many of these roads intersect and lots of circular walks are possible. The terrain is generally only modestly challenging. Take generous amounts of water, snacks and a cell phone; take only photos and leave only footprints. You are not an intruder on foot – you are part of the scene. 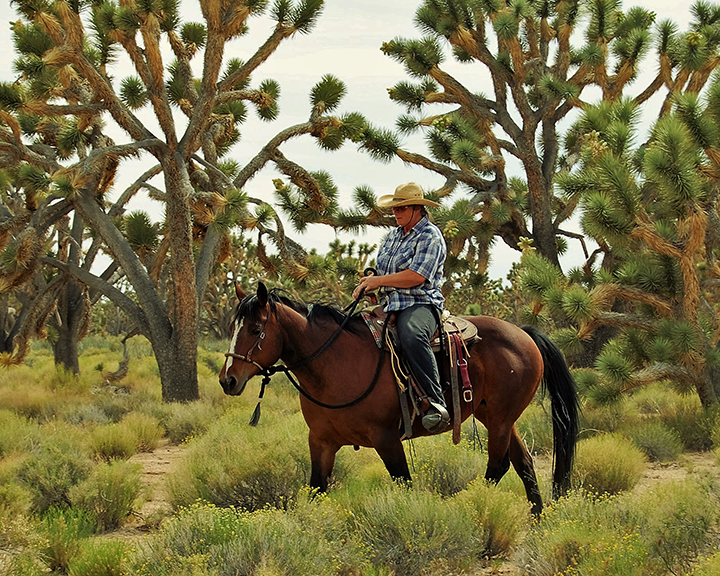 Horseback riding is one of the recreational uses of the Arizona Joshua Tree Forest. There’s nothing better than riding quietly through the trees with a cool breeze flowing and watching the animals run through the brush since you are up high enough to see everything that moves. With larger groups the use of two tracks and trails is a wise choice to keep the impact on the land to a minimum. Riders need to open and close the gates behind you so the cattle will stay on their open range. As you traverse the multiple climate zones in just a couple miles, you see the change from low growing shrubs to juniper then pinion pines as you climb just a few hundred feet. Traveling to the lower elevation you will find rolling hills and canyons with unbelievable beauty opening before your eyes. As the light changes and the sun shines on the Grapevine Mesa you feel like you have gone back to the “Old West” in just a couple of hours. Mountain biking the area has become more popular in the area over the years. There are roads and trails of varying difficulty. Roads provide access to open area with trails through rolling hills and valleys. The casual rider can sight see while following level trails on ridge tops. Valleys are generally sandy and are less desirable but give a good work out. Mountain trails are limited but clubs are encouraged to work with the Friends of Joshua Tree Forest to develop and adopt challenging riding experiences. The Arizona Joshua Tree Forest is known for its clear night skies. The Dark Sky ordinance for this area makes viewing the stars a popular past time and hobby. Several astronomers have made the Forest their home or weekend retreat. With no light pollution the Joshua Tree Forest’s night is lit by billions of stars so bright that during the low phase of the moon you can walk without the aide of a flashlight. On such nights you feel as if you are amongst the stars, lifted by the brilliant night skies into the heavens. 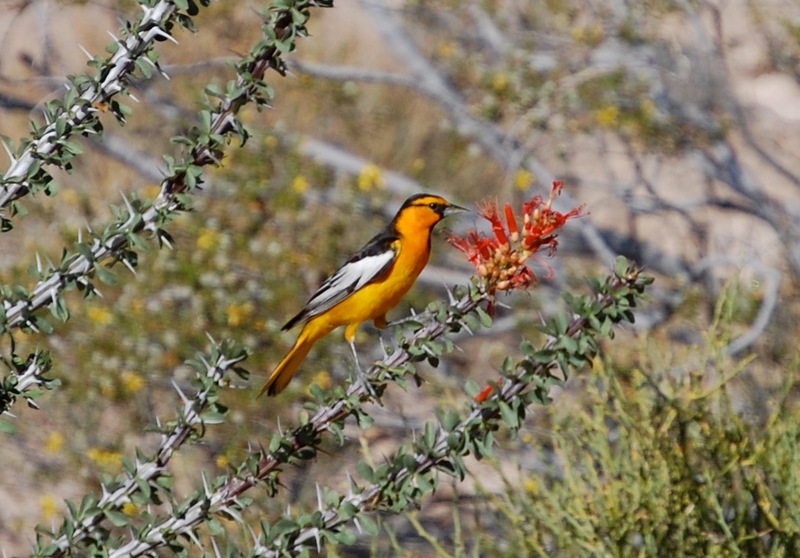 The Arizona Joshua Tree Forest is home to several species of birds as well as being in the migratory path of many more. There are many areas that are accessible for bird watching.